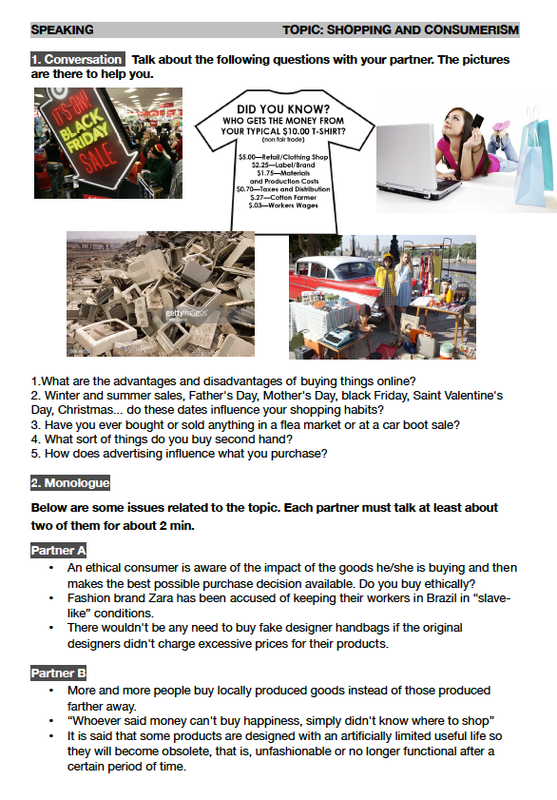 Consumerism and compulsive shopping is a common topic you can stumble upon in the exam, associated with subtopics such as Retail Therapy, Men and shopping, Bargain Shopping, etc. An interesting list of useful vocabulary is available here. This 5-minute video is also great as it gives a sample of a monologue.